You'll enjoy exceptional views throughout this 5.7 mile out and back hike on Pacifica's eastern-most ridge. With some rain (hopefully) on the way, we should see the start of the wildflower season at Sweeney Ridge this week. Look for milkmaids, woodland star, and ceanothus, with many more flowers following throughout late winter and spring. Very beautiful on any clear day, but also enchantingly quiet in the fog. Paved Sneath Lane Trail makes hiking possible even in the wettest weather. Sweeney Ridge features multiple trailheads. Sneath Lane has the most reliable parking, but if you'd like to experience the Ridge in a whole new way, start at Skyline College and take Sweeney Ridge Trail to Notch Trail, a lovely single track path that connects 2 fire roads and offers a more intimate hiking experience than the road-like Sneath Lane Trail. Sweeney Ridge is hike number 54 in 60 Hikes in 60 Miles: San Francisco (third edition). Read about this hike on BAHiker. 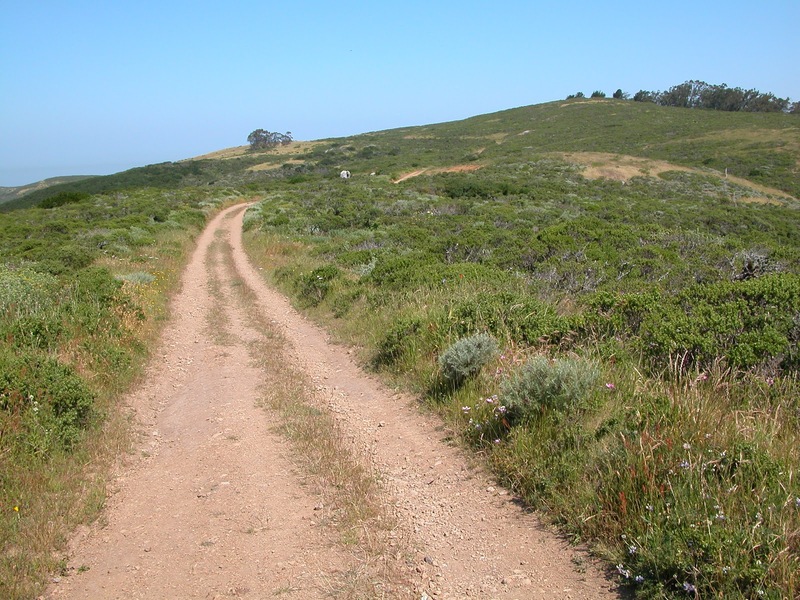 This easy 3.6 mile hike on the Contra Costa coastline travels through a former dynamite manufacturing site!